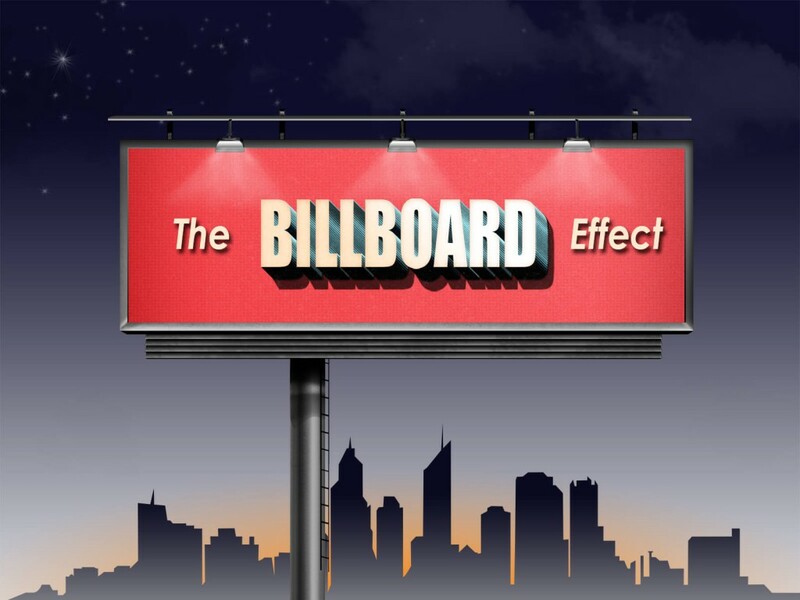 There’s been a lot of talk recently about the Billboard Effect and how it can result in an increase of direct bookings. The Billboard Effect describes the phenomena where guests discover your hotel via an online travel agency (OTA) and then visit your website directly. Hoteliers and property managers often agree that the OTA commission rates are too high. Many feel that the OTAs are stealing their business. The Billboard Effect serves to justify these high commissions and lost direct bookings which hotel managers dislike. While their commission rates can be high, having your property listed on the top OTAs is actually one of the best things that hoteliers can do for their business and revenues. Properties who list inventory on OTAs increase their direct bookings by up to 26%. It seems contradictory, but you will increase direct bookings by listing inventory on OTAs. Hotel managers cannot rely on the billboard effect alone to increase their direct bookings, however. Properties can do more to take advantage of the billboard effect and increase their website’s conversion rate. Think about which OTAs will result in the most exposure for your property, or if they have a niche market to which your property is well-suited. Decide if your property should be present on a large number of OTA sites, or if quality is preferred over quantity. Your property type, market and budget should also be considered. Then use a channel management tool to automatically distribute available inventory to your chosen OTAs. “If you build it, they will come.” But will they book? Your website must still be attractive and image-driven, with a user-friendly booking engine. Does your website offer greater value and convenience than the OTA they visited prior to “billboarding” yours? If your value and convenience is more, then your site’s conversion rate will increase. If not, “billboarders” will simply click away from your website and are less likely to return. Keep in mind, according to Market Matrix about 12% of travellers select a hotel due to past experience. Don’t lose your non-converting visitors forever! Capture your “billboarding” visitors with Remarketing (also referred to as retargeting). Remarketing is a simple way of reminding your visitors of something they already want and you can provide. You do so by tailoring an offer or promotion specifically to the visitors’ personal interests. Your offer is then displayed for these visitors in ad space across various other websites, such as Google and Facebook. This and any Billboard Effect optimisation plan will only be effective if your hotel offers value across all channels. Value is an analysis which encompasses price, location, reputation, amenities, and market insight. If your website can offer greater value then the OTAs, then it’s smart to list at least a small segment of your inventory on OTAs to enjoy the benefits of the Billboard Effect; even if you don’t intend to use OTAs as the primary source of your reservations.